The vertical blind is one of the most popular and most versatile blinds design these days. That is rightfully so because vertical blinds can easily cover all the reasons as to why you would need a blind in the first place. Vertical blinds are not only functional; they can also be aesthetically appealing. You can easily angle or close the vertical blinds’ louvres depending on your needs. You can also draw the vertical blinds to fully open your windows and let light or air in. Vertical blinds are great at providing maximum privacy especially for rooms such as the bedroom and if your window is directly facing a place where people usually pass by. You can alter the fabric that will be used according to your needs. Vertical blinds are economical and cost-effective compared to other blinds. It works perfectly for big windows. If the fabric gets worn off over time, changing it is not a difficult task. You don’t have to reinstall the entire blind all over again. The top tracks can be altered according to the type of window. Vertical blinds are easy to clean and maintain. Another positive thing about vertical blinds is that it can be easily controlled. There is a minimum and maximum size that is allowed for vertical blinds to be made. There is a limited number of louvre strips for smaller sized blinds. 500 mm wide is the maximum size allowed for vertical blinds as it becomes difficult to install and maintain vertical blinds bigger than this. There are plenty of ways that you can use a vertical blind. They are versatile and can easily be fitted in any room. 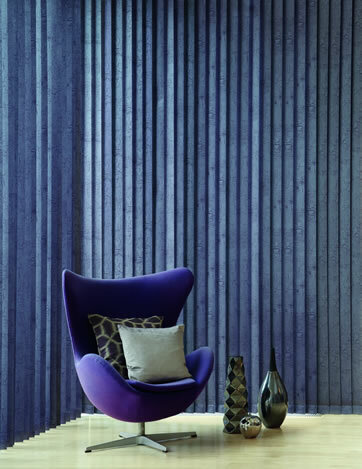 You can select dark coloured fabrics to use for vertical blinds that are to be installed in your bedroom. The downside to this is that some light will still be able to peak through the gaps in in the louvres which means vertical blinds can’t give you full blackout coverage. If you have French doors or sliding doors that lead to your lounge, vertical blinds are the ideal blinds for this particular kind of room. This is because vertical blinds can be custom made to have a tracking that is curved. Vertical blinds are great at deflecting light keeping the place dim. You can easily install a vertical blind to cover the window right in front of your kitchen sink. The materials used in vertical blinds can be easily cleaned with wet cloth, detergent or sponge. They can be easily maintained, making it ideal for the kitchen. Vertical blinds provide great privacy coverage and like for the kitchen, it is easy to clean all. All you have to do is wipe it down with wet cloth or sponge. Check out the wide range of collections of vertical blinds in our store house and also pick out the best Offers.